According to a recent survey of homeowners, 25% of homes with two-car garages don’t park any cars in their garage. The purpose of a garage is to protect your vehicle (typically one of your largest investments) from the elements, but instead, many of us tend to view the garage as a dumping ground for clutter. 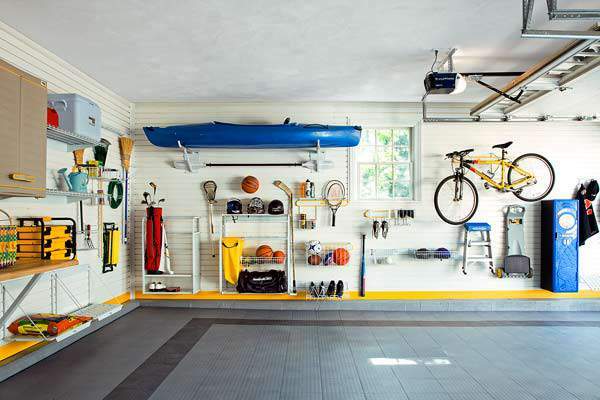 What a great reason to make garage organization a priority on your “honey do” list. The most important rule of garage organization is to clear everything off of the floors as much as possible. Items should be stored vertically on the walls. There are countless wall storage systems for residential garages on the market that enable homeowners to take advantage of every square inch of vertical space.